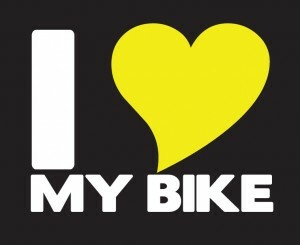 Welcome to the Bike Cafe! The Bike Cafe is a new page at Spinning Music dedicated to helping you become the best indoor cycling instructor you can be. There’s an amazing amount of experience, expertise, and enthusiasm among readers of this blog, but there was no page dedicated to sharing questions and ideas about indoor cycling… until now. I flipped the sign on the door to read “open” and put on the coffee. Come on in after your ride. Ask a question. Post an answer. Share your knowledge with instructors from all over the world. Pick up a few tips. I can’t wait to hear your ideas and experiences. 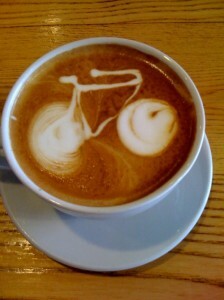 A huge thank-you to reader Lisa, who inspired the idea of a Bike Cafe in one of her comments. Looking for a Valentine’s Day Spin Mix? Hey folks, I had a V-Day spin mix in the pipeline but it won’t be finished today. If you’re looking for a Valentine’s Day spin mix, I have two on the blog. The first one is the unoriginally titled Love Spin Mix and the second is the I Like the Way You Spin Mix. Turns out a lot of you are using Ping – I already have more than 100 followers, which means I better get around to posting some stuff soon! 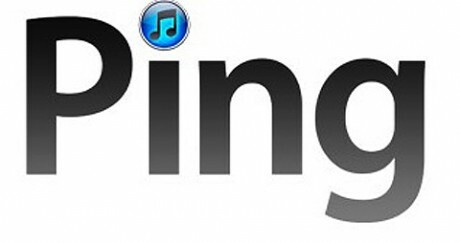 Reader Bruce suggested that I use Ping in iTunes to post my playlists. I was initially apprehensive, because Ping purports to make all of your purchases (gulp) public. So if I have a maudlin moment and download a bunch of Wham! songs – you’ll all know. When I checked out Ping and created an account, I saw that it was a great way to test a playlist – you get the whole playlist on iTunes, all in one place. No more hunting for songs or checking the run time to see if you’ve got the right one. No more mistakenly downloading the dirty version and having to pay another $1.29 for the clean one (full disclosure: I tolerate some swearing in my music). In a minute or two, you can run through samples from the entire playlist to see how it gels, and with a few clicks, buy any songs you like. In other words, it’s the next generation. All I had to give up was some privacy. So, if you like, download iTunes (it’s free) and follow me on Ping. My handle is Spinning Music. It’s a snow day here, and I’m home early with a hot chocolate and some extra time. 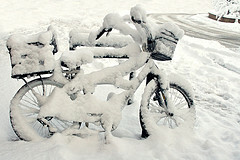 I was supposed to teach my spin class tonight but it’s been cancelled due to weather. The next best thing is a new Spin playlist, right? My first Best of 2010 playlist was heavy on sprints. This one is heavy on climbing. Waka Waka (This Time for Africa) [feat. Freshlyground] – Shakira (3:23): Warm up your legs and do some dynamic stretching to this cheerful FIFA song. Dynamite – Taio Cruz (3:24): First hill of the day, a seven minute climb out of the saddle. Alternate between regular and aggressive stances, 45 seconds regular, 45 aggressive, add some tension, then 60 regular, 60 aggressive. Memories [feat. Kid Cudi] – David Guetta (3:31): Okay, leave the tension where it is but pick up the pace: hup! Add more tension every minute or so to make this an uncomfortable challenge by the time we reach the top of the hill. I Like It [feat. Pitbull] – Enrique Iglesias (3:52): For this song, we’re going to climb for the verses and sprint for the choruses. Take 50 seconds in an easy out of the saddle climb for some well-deserved recovery before we dig in for the first sprint, 15 seconds from 0:52 – 1:05. Second sprint is 15 seconds from 1:44 – 1:59, third sprint from 2:51 – 3:21 (30 seconds). Because these sprints are short, with lots of recovery in between, I want to see you out of the saddle giving them your all. Love the Way You Lie [feat. Rihanna] – Eminem (4:23): A seated climb here starting at 0:25. Big hill. High tension. Grind it to the top, four minutes from where we are right now. California Gurls [feat. Snoop Dogg] – Katy Perry (3:56): Time for some jumps. Let’s start with 8 counts for the verses, 4 for the choruses. At 2:26 when Snoop Dogg comes on, take it to 2 count jumps to 3:04, when you’ll hit another chorus and go back to 4 count jumps. Blah Blah Blah [feat. 3OH!3] – Ke$ha (2:52): More jumps. Crap. Keep it going, a minute of 2 count jumps, a minute of 4 count, and finish it up with 8 count jumps. OMG (Almighty Radio Edit) – Usher (4:28): Easy climbing out of the saddle with low tension for the first 30 seconds, then when Usher hits it, we will too – breakaway at top speed from 0:30 – 0:59 (30 sec), then settle into the hill. There’s another breakaway at 1:43 – 2:27 (45 sec). The third breakaway is at the bridge, from 3:43 – 4:28 (45 sec). Dead – Buckcherry (5:27): Wind it up with some crazy sprints: 15/30/45/60 seconds off/on. The fun stops at 4:45. I’ve shortened the song so that it ends there. Stuttering – Fefe Dobson (3:10): Cool down with this Canadian artist. Whenever I have new spinners in the class I always ask the class to give them a big round of applause for finishing their first spin class. After the cool down, I’ll go to check on them and see how it was for them and answer any questions they have. Many competitive athletes have a ritual or good-luck charm they rely on (playoff beards, anyone?) Cyclists are no exception. But do rituals and good luck charms really make a difference? Turns out, they do. A Cologne University study asked volunteers to try to sink 10 golf putts. Half were told they had a “lucky ball.” They sank an average of 6.4 putts, while the other group, who were just told they were using the same ball as everyone else, sank an average of 4.8 putts. So if you’ve got a lucky head band or water bottle or jersey – roll with it – it might just give you the edge.